The most asked about plant in the nursery! To diagnose the issue, I’ll initially ask about pruning practices; the reason being – if the Hydrangea is an older variety it’s likely that it only blooms on two year old wood. If it has been cut to the ground then it will produce only new growth or new wood that will never produce a bud. 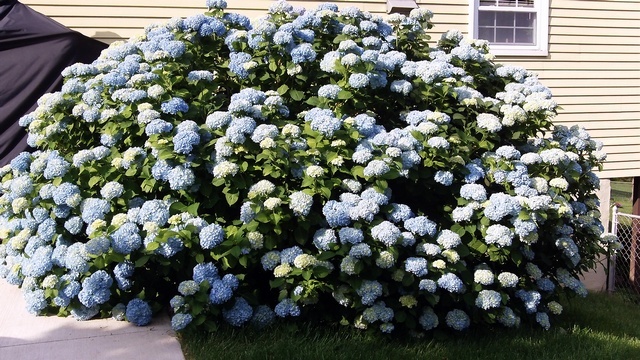 What I recommend in this case is to watch your hydrangea wake up in the spring, look for fattening buds, and cut just above those buds where you see no activity. Another way to identify the issue is to note how the plant itself looks. 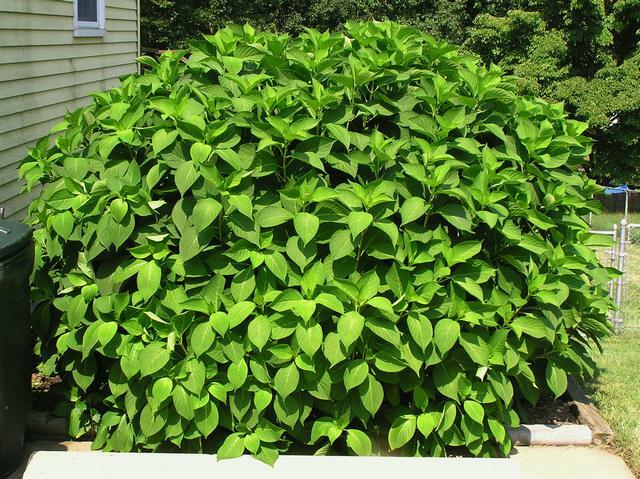 Usually, people say that it is growing beautifully – nice dark green leaves and lots of growth. This actually indicates that there is too much nitrogen in the soil and the plant is focused on foliar growth rather than bud and flower production. To fix this, apply a blossom boosting fertilizer or triple phosphate starting in the spring. What this will do, is trigger the plant to focus on bud and flower promotion. A major reason a hydrangea may not to bloom is something that I have seen quite a bit of this season. A hard spring, a warm few weeks, followed by negative temperatures. What happens is the warm temps will trigger the initial plant growth, and when the hard freeze comes in it kills any growth that may have occurred, giving severe die-back. If the plant has enough energy it will re-flush new growth but this will put the plant weeks behind where it would normally be at that time of year – therefore you may not see blooms until the following season. 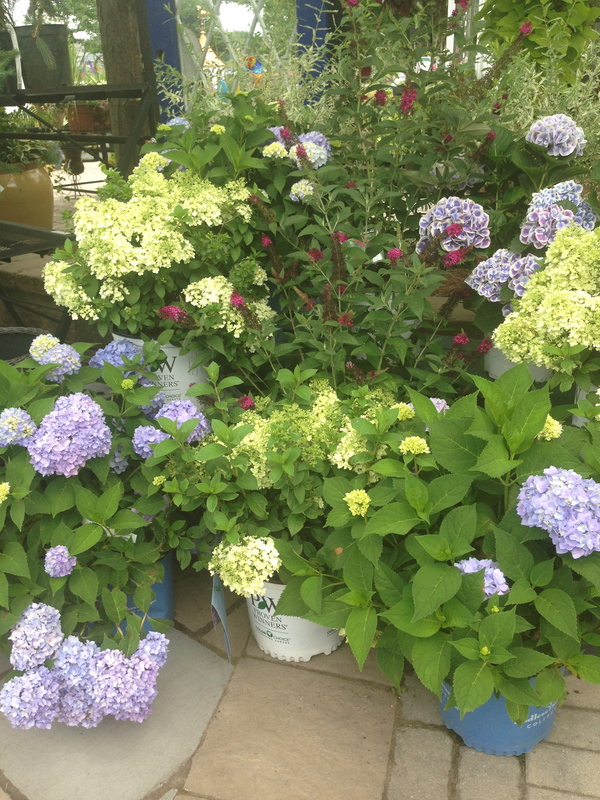 In many cases, my recommendation would be to buy a new variety that will continually bloom – something like the Endless Summer Hydrangea, Twist and Shout Hydrangea, or the City Line Series. My recent favorites are Hydrangea Bobo, Pistachio, Abracadabra and Little lime. You can check them out here at Winterberry Gardens ,we carry 100 different varieties – plenty of opportunity for you to find your own favorite! Learn more about our garden center here!